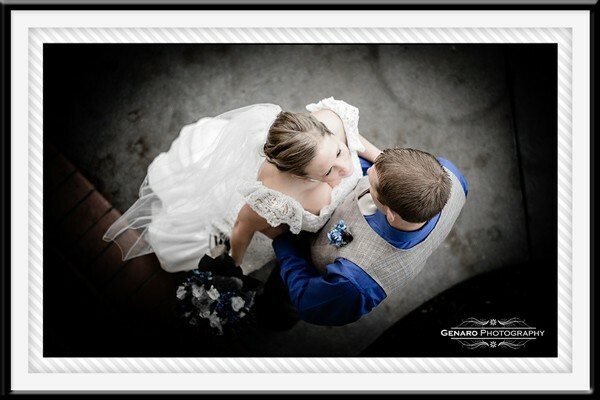 Genaro Photography creates photos you can treasure by telling your wedding story with artistic creativity. Every picture is crafted to bring out the individual’s true unique beauty, and emotion. 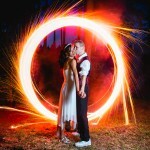 This is your perfect Bellingham wedding photographer. Set up a meeting with me and I'll treat you to a free coffee! 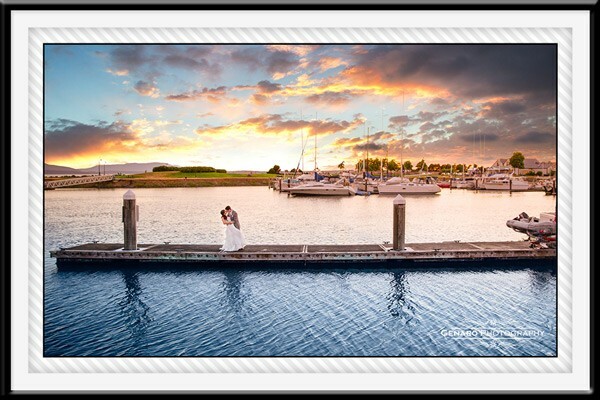 I am based out of Bellingham and will take weddings in Seattle, Ferndale, Lynden, Mount Vernon, Marysville, Bellevue and more. What makes this Bellingham photographer unique? I will go to any length to make sure your wedding photos are exceptional and special to you. Read how this is accomplished here. I believe every wedding is truly special. It’s easy to forget that, in this industry. This is the one thing I have made sure to never forget, I treat every wedding as if it were my own. 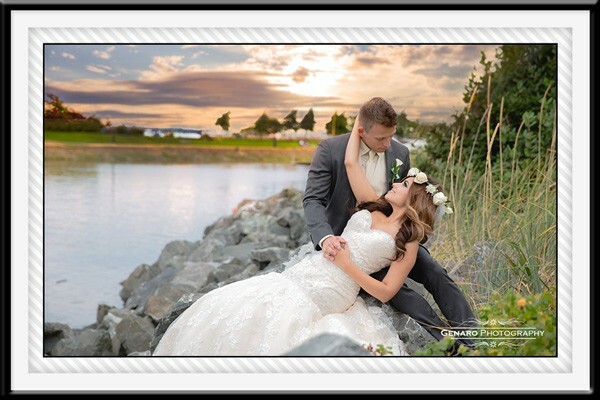 We made an excellent choice in choosing Genaro Photography to take our wedding pictures at the Hotel Bellwether in Bellingham in July 2013! Our wedding pictures were extremely important to us and we found ourselves meeting with dozens of photographers throughout the greater Seattle area including Genaro.Out of all the photographers we met with, we got along with Genaro best and his sample albums he brought to the initial meeting were better than the seasoned photographers' that we met with! I felt so comfortable with Genaro that I had him take my bridal boudoir photos as well and they turned out stunning! If you want a photographer who is professional and warm and who puts a lot of consideration into his work Genaro is your guy! I would highly recommend him to anyone in search of a photographer for whatever service. We loved Genaro! We ended up going with Genaro after scouring the internet and yellow pages because we could not beat his prices. Our wedding was a little out of the way and he came to us no problem and stayed all through the whole thing into the night. Genaro is so laid back that it really made us feel at ease. He did our engagement photos as well and it was nice to have a little practice together before the big day. I recommend doing both. Our pictures turned out amazing! I felt like a supermodel. We got a ton of pictures back on our disc. I would definitely recommend Genaro to a bride looking for a photographer he really went the extra mile and was everything we could have hoped for! Genaro “Naro” is a fabulous photographer. We have used him for our engagement photos, and even moved our wedding date to get him because they turned out so great. He coordinated a location and extravagant props (in our case, a beautiful historical home and vintage car) all “just because” I said my theme was “vintage”. When looking for a photographer, you want them to be able to get the job done technically speaking, but to have a GREAT photographer, you want creativity and passion for the art. Naro has ALL these things! See his website. He is very thorough and professional. Money well spent! Genaro is amazing to work with. Just looking at his pictures I knew I had to book him, and his prices were the best I’ve seen-especially with the quality of the pictures and the time he takes to to scope out locations and make sure he gets the best shot. He is very professional and was very flexible when traffic made a lot the wedding party late and had to change plans multiple times. I recommend him to everyone and I cant wait to use him again in the future! We are so please with the way our pictures turned out, I cant stop looking at them! Thanks again Genaro!!! I am constantly getting compliments on our wedding pictures. And compliments on your work, enthusiasm and calm professionalism on the wedding day. People keep asking me where I found you and I laugh and honestly answer I took a chance on this guy I found on facebook. Thank you so much! You guys did an amazing job! Even right after the wedding, Nick and I were talking about how impressed we were with your performance and professionalism during the wedding. And it shows; the pictures are amazing. Thank you so much, it was really great working with you and your team. 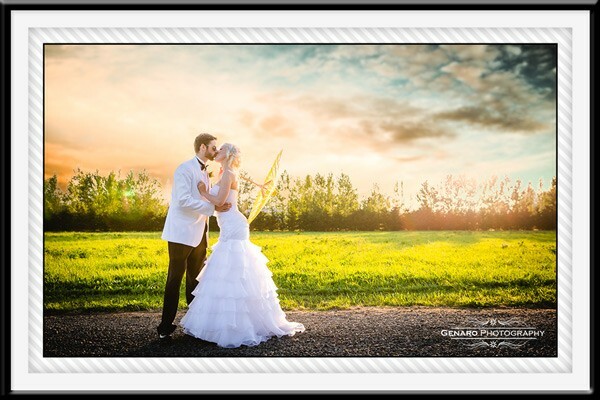 "We are very happy with the professional service you provided and your creativity and skill shows in the very good pictures we now have from our wedding. Thank you! It was a pleasure working with you and we would definitely recommend you to our friends and family when they're looking for a photographer."